It’s no fun sharing with Baby! He dribbles on toys, rips books and chews up jigsaw puzzles. However annoying he is, Mummy always says “Share!” So his big sister decides to share some other things; waffles that Baby can’t eat, and paints that turn him blue! 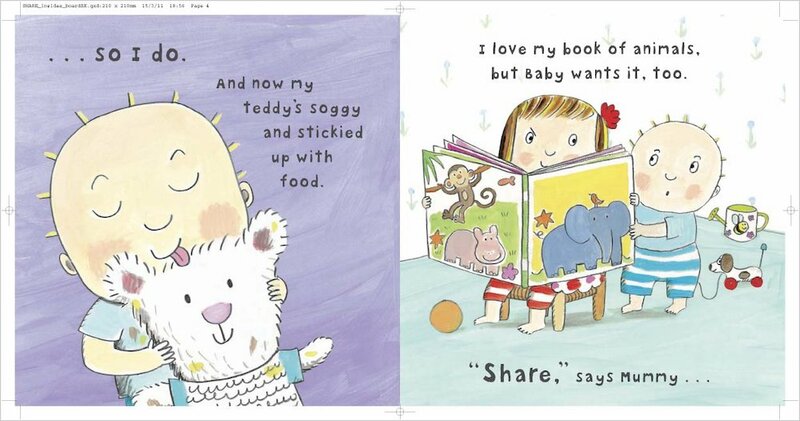 All the same, she can’t deny that some things are nice to share with Baby – like bubble baths, and snuggly bedtimes with Mummy… The bond between a big sister and her baby brother is beautifully brought to life in this endearing board book. Previously Georgie has illustrated Young and Colour Young Hippo titles for SCB. 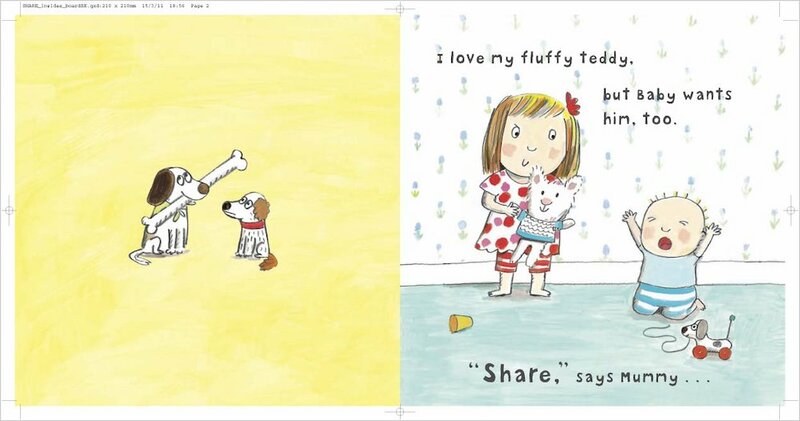 This will be her first picture book for us. She is illustrating a picture book by Nanette Newman for Chrysalis (July 05) and another for Puffin and is talking to Bloomsbury and Macmillan about further new projects.